Laurie Levy sought declarations from the High Court that legislation under which he was charged was invalid as contrary to the constitutionally implied freedom of communication on government and political matters. The State of Victoria, the authority that charged Levy, defended the action. In doing so, it sought leave to re-open the High Court’s earlier decisions in Theophanous v Herald & Weekly Times Ltd and Stephens v West Australian Newspapers Ltd. Media proprietors and The Media, Entertainment and Arts Alliance sought leave to intervene in the proceedings. The media proprietors and the journalists’ association claimed that, in the period since the judgments in Theophanous and Stephens were published, those decisions were relied on in publishing material which would not otherwise have been published for fear of incurring a liability in damages for defamation. They argued that, if the decisions were overturned, they would have greater exposure to liability for defamation. These circumstances gave the High Court the opportunity to state the basis upon which a non-party could be involved in the Court’s deliberations. The starting point is that “[n]ormally, parties, and parties alone, appear in litigation”. Mere convenience, desirability or utility is insufficient to relax that rule and activate the court’s jurisdiction to allow non-party involvement. So, proceedings which could only indirectly or contingently affect a person’s interests in future litigation would not enable the person to obtain leave to intervene. Usually a costs condition is imposed. It is thought appropriate for a party intervening to protect its interests to bear the costs of the other parties occasioned by that involvement. [A]n amicus will be heard when the Court is of the opinion that it will be significantly assisted thereby, provided that any cost to the parties or any delay consequent on agreeing to hear the amicus is not disproportionate to the assistance that is expected. The media proprietors were granted leave to intervene as they were able to show that their interests were likely to be substantially affected by the judgment in Levy or the related proceedings of Lange v Australian Broadcasting Corporation. The Media, Entertainment and Arts Alliance was not able to establish that indicia. However, the court was concerned that arguments relevant to important questions of defamation law, involving a reconsideration of Theophanous and Stephens, would not necessarily arise or be adequately put. For that reasons, leave was given to the industrial association to make written submissions as amici. The difference between interveners and amicus can be illustrated by two decisions of the High Court in 2016: Attwells v Jackson Lalic Lawyers Pty Limited  HCA 16 and Australian Competition and Consumer Commission v Flight Centre Travel Group Limited  HCA 49. In Attwells, the Law Society of New South Wales sought leave to be involved as a non-party. That leave was granted on the condition that the Law Society pay the costs of the parties occasioned by the intervention. The Society unsuccessfully argued that its position was different to Levy because there the non-parties were commercial parties protecting their direct interests. The Law Society argued that it was a representative professional association acting in the interests of the solicitors of New South Wales. The argument clearly did not find favour with the High Court. 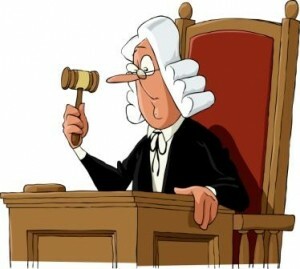 The reason can probably be explained from a consideration of the subject matter of the court proceedings. The issue before the Court – the existence and scope of advocate’s immunity – would impact on the professional indemnity insurance premiums paid by many solicitors. This was clearly a commercial matter. In ACCC –v- Flight Centre, the International Air Transport Association was granted leave to appear as amicus curiae. It was, like the Law Society, a not-for-profit organisation and a representative professional association. The subject matter of the proceedings was very different though. The issue was whether a travel agent had contravened anti-competitive legislative provisions. Whether conduct constitutes a breach of statutory prohibition is far removed from the maintenance of commercial interests. As with the industrial organisation in Levy, and in contrast to the role of the Law Society in Attwells, the role of the International Air Transport Association was limited to making written submissions . Levy v Victoria  HCA 31. The Media, Entertainment and Arts Alliance is an industrial association which includes journalists among its members. Dixon J in Australian Railways Union v Victorian Railways Commissioners  HCA 52; (1930) 44 CLR 319. Brennan CJ cited David Grant & Co Pty Ltd v Westpac Banking Corporation  HCA 43; (1995) 184 CLR 265 where the Australian Securities Commission appeared as amicus curiae in a case involving the interpretation of sections of the Corporations Law. Brennan CJ referred to South Australia v Tanner  HCA 3; (1989) 166 CLR 161, 179-180. HCA 25; (1997) 189 CLR 520; (1997) 145 ALR 96; (1997) 71 ALJR 818. The Court also received a written submission from the Australian Press Council as amicus curiae. Attwells v Jackson Lalic Lawyers Pty Limited  HCATrans 48. Australian Competition & Consumer Commission v Flight Centre Travel Group Limited  HCATrans 134.